Skin Directed by Guy Nattiv took the top prize for Best Short Film at the 14th edition of the Oscar Qualifying HollyShorts Film Festival Awards Ceremony last night hosted by Gabrielle Loren. Grand Jury Prize went to Souls of Totality Directed by Richard Raymond. Best Director went to Randall Christopher for The Driver Is Red. Best Short Shot on Film went to Trapeze USA by Mark Anthony Green. The Panavision Future Filmmaker Award went to Daniel Drummond for A Foreman. 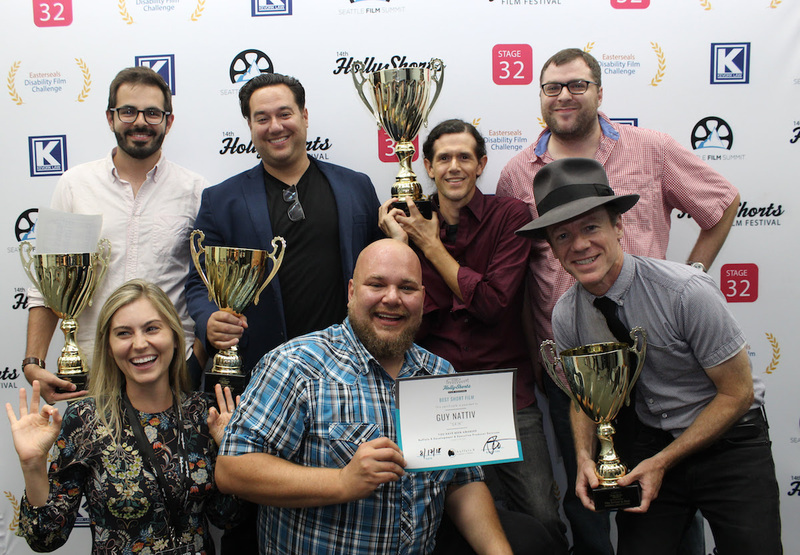 The HollyShorts 2018 Screenplay Competition Winner Presented by Seattle Film Summit went to Best Seller by Nora Kirkpatrick. The 15th Anniversary of HollyShorts will take place on August 8-17, 2019 at the TCL Chinese 6 Theaters. The festival begins taking early bird submissions for next year’s festival on September 23, 2018.